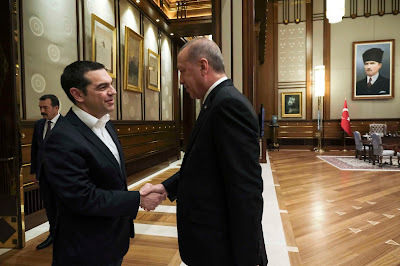 According to one retired Greek diplomat, Tsipras took the political cost of an embarrassing visit to Ankara to establish a line of communication with Erdogan amid worsening relations. In the last two years, Greece has registered record numbers of territorial and airspace violations by Turkey in the Aegean. 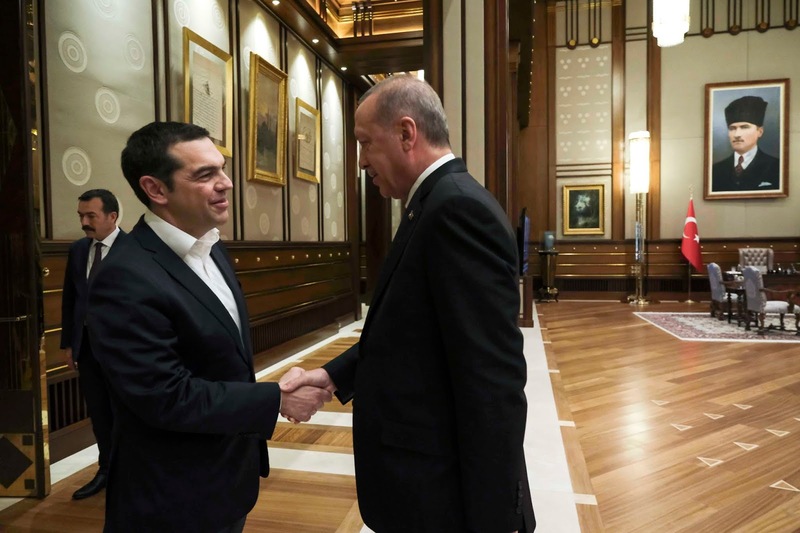 Erdogan’s visit to Athens 14 months ago remains a watershed moment in Greek-Turkish relations. In addition to extradition of the officers, Erdogan demand an amendment of the Lausanne Treaty of 1923. The Lausanne Treaty not only delineated the Turkish state. It normalized Greek-Turkish relations after a century of war. In Greek policy circles it is considered untouchable. The call to revisit it suggested a broader revisionism of the Greek-Turkish status quo. In 1923, both Greece and Turkey maintained territorial waters of three nautical miles in the Aegean Sea. Greece extended that to six nautical miles in 1936 and Turkey followed suit in 1964. As a signatory to the International Law of the Sea, Greece claims the right to extend its territorial waters to 12 nautical miles. Because Greece owns thousands of islands, doing so would give it possession of almost three quarters of the Aegean, and Turkey has threatened war should this happen. Last October, outgoing Greek foreign minister Nikos Kotzias announced imminent plans to move down this path by extending Greece’s territorial waters along its mainland coasts and Crete. The move left out the most contested area of Aegean islands, but it was a clear statement of intent. “Our foreign policy… is addressing and implementing the expansion of our sovereign territory for the first time since the absorption of the Dodecanese islands,” he said, referring to Greece’s formal inclusion in 1948 of the last territory neighbouring Greece with a Greek population. Greece and Turkey are also in a spat over delineation of their continental shelf, an area beyond territorial waters where states enjoy the right to exploit undersea resources. Last October, Turkey sent a drillship to explore the seabed near Cyprus for oil and gas, in response to a similar exploration by Cypriots. A 1974 Turkish invasion of Cyprus after a Greek-inspired coup continues to divide the island and poison Greek-Turkish relations. Hydrocarbons have deepened the disagreement. Turkey now also threatens to explore for hydrocarbons in areas Greece claims for its own continental shelf. Such Turkish disputatiousness and Greek defiance nearly led to war in 1996, when Greece and Turkey sent warships and helicopters to the Imia islets in the east Aegean. Three years later, massive earthquakes rocked Istanbul and Athens within months of each other. The two governments sent search-and-rescue teams to each other’s aid, and the atmosphere between them improved dramatically. In December 1999, Greece lifted its long-standing veto on Turkish membership talks with the European Union, and the two countries started exploratory talks that came close to resolving their territorial differences in the Aegean. But Greece then hesitated to commit to any deal, and 18 months ago Turkey abandoned the talks altogether. Their relationship sweetened only to bitter again. Despite their need to re-establish a bilateral forum to discuss differences, expectations are kept to a low pitch.